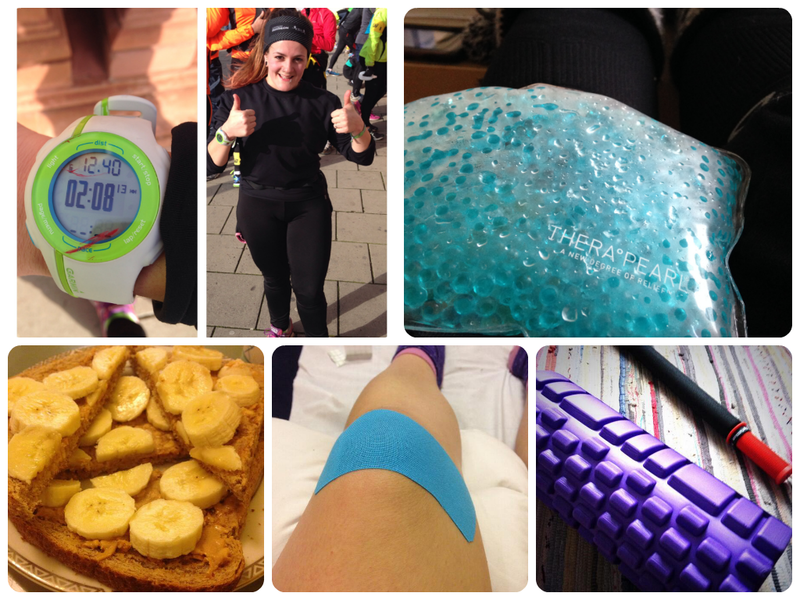 Brighton Marathon training – weeks 7 & 8 –> believing I can actually do this! I know I keep saying this but I really am loving marathon training 🙂 As the weeks go on I’m getting more and more excited – realising that I might actually be able to do this is such an amazing feeling! Just goes to show that even if you have ‘dodgy knees’ like me, with the right approach to training/recovery and regular physio appointments/strength and conditioning work it’s not so out of reach as you might think. I’ve got a lot to thank Tom for at The Physio Rooms, Brighton in getting me back on my feet, stronger than ever before. Over the past few weeks I’ve changed/improved my running gait, improved my strength and have learnt so much about how to train, fuel and recover properly, as well as learning a lot about myself. There’s still a long way to go and I’m by no means the perfect athlete but I think I can say at this point that I know I can do it, whereas before it was always up for question. The marathon is only 58 days away – that’s only 7 more long runs. SEVEN. And lots more training to do in between them to get me ready for race day. A recovery week. 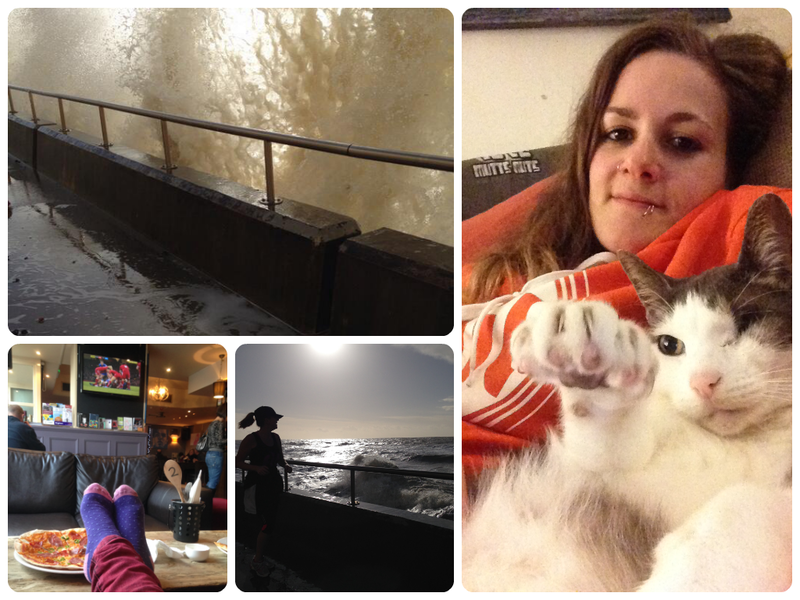 That doesn’t mean I got to lay on the sofa all week with the cat (although a fair amount of this happened). I still had to get out for runs and do my strength work, but it was at a relaxed, easy pace. No threshold running, no hills, even the long run was cut short. Most marathon training plans incorporate a couple of recovery weeks after each 3-4 weeks of progression to allow your body to adapt to the new training load and repair before entering the next phase of training. Wednesday: Run commute to/from work. I’ve had an unintentional quiet week run-wise this week, only made it out for a shitfest of a threshold run and yesterday’s epic long run, because I didn’t pull my finger out on Friday or Saturday to get another one in. *Bad Tess*. With only 7 weeks to go though I’m gonna have to make sure I hit these sessions, whether I run them or substitute them with cross training or I might find myself in a sticky situation. Talking of cross training, this week in particular has been a wicked one for new experiences! As I’ve mentioned, I’m currently doing a kayak course to learn to eskimo roll and this week it finally clicked how to do it with a paddle after 4 weeks of gradually building up to it! I’m scared of being under water so this was a massive deal for me. Another amazing fear I faced this week was to go climbing/bouldering at Westway Climbing Centre with Becca, Charlotte and Dannii. We were invited to a blogger day by Spogo UK, and had a BRILLIANT time – more on that later! Sunday: Topped the week off with a 12.5miles long run – felt strong throughout so mega, mega chuffed! Thank you knees/legs/brain 🙂 So looking forward to Brighton Half next week! I would totally recommend facing your fears and challenging yourself, the endorphins are EPIC!! 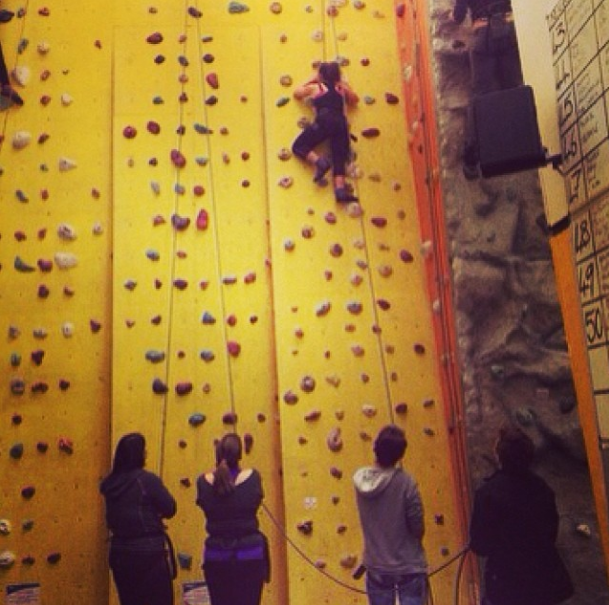 Have you tried rock climbing or kayaking? What cross training are you complementing your running with? Next Post Brighton Half Marathon – the one with the 12 minute PB! !